The stand up spout pouch is an emerging bag developed on the basis of the stand up pouch. The structure of the self-standing mouth bag is mainly divided into two parts: the nozzle and the stand up pouch. The stand up pouch part is identical in construction to the normal stand up pouch, but composite materials are generally used to fix different application requirements. The nozzle part can be regarded as a general bottle mouth nozzle. This two parts are tightly combined to form a self-standing mouth bag. In addition to the advantages of as easy opening and sealing as bottles and barrels, the stand up spout pouch also has the advantages of less consumption of packaging material, high printing quality, low costs on storage and transportation, low waste disposal capacity, etc. According to statistics, compared with the same capacity of bottles and barrels, the consumption of raw materials for stand up spout pouch can be reduced by more than 30%, the costs of storage, transportation and packaging materials are reduced by more than 60%, and the amount of garbage disposal is reduced by more than 5 times. These advantages show that the stand up spout pouch has the broad development prospect. 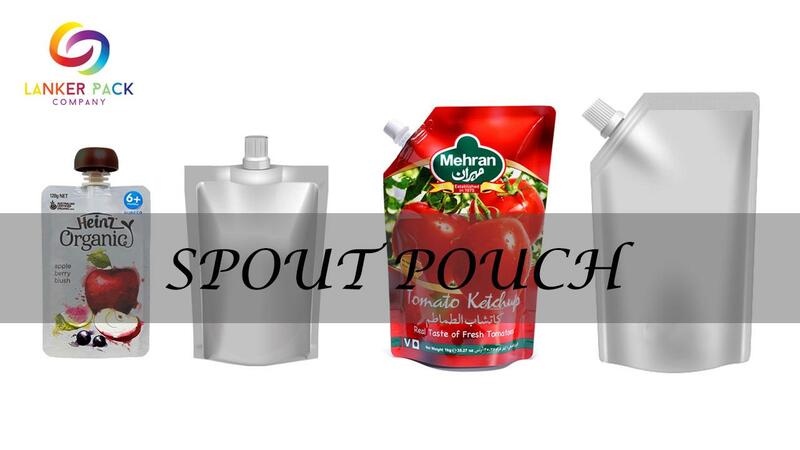 This spout pouch represents an especially practical and flexible packaging as, in addition to simple usage and the achievement of the required portions, the integrated pouring and closure system also enables the safe resealing of the pouch. This user-friendly design has led to an increase in the popularity of this pouch type for pasty and liquid products such as pureed fruit, sauces, beverages or cleaning agents and also fine bulk products such as sugar or rice. Lanker has been accumulated rich experience–from raw material development right through to production and quality control, we guarantee perfection in every product.